Blog Home > At Home > What is Korean BBQ? Korean barbecue is taking the country by storm—most major cities boast at least one Korean barbecue restaurant, and ingredients like kimchi (kim-chee) and gochujang (go-chew-jang) are making their way onto mainstream restaurant menus. While this style of cooking and eating is nothing new, it’s finally becoming popular in North America. So, what is it? It’s a unique experience where cooking and eating take center stage. At Korean BBQ restaurants, everyone gathers around a grill in the middle of the table. The server brings plates of raw meat and lots of side dishes—called banchan (bon-chon)—then everyone can begin cooking and eating their own food. 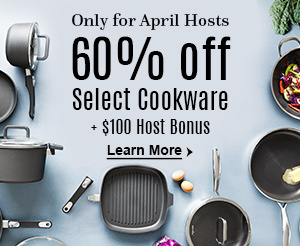 It’s great because it’s all about getting your friends and family around the table to cook and eat together. Plus, everyone gets to be part of the fun—no one is stuck in the kitchen doing all the work. A traditional Korean barbecue restaurant has a table with a charcoal grill in the center—plus big exhaust fans above the tables. 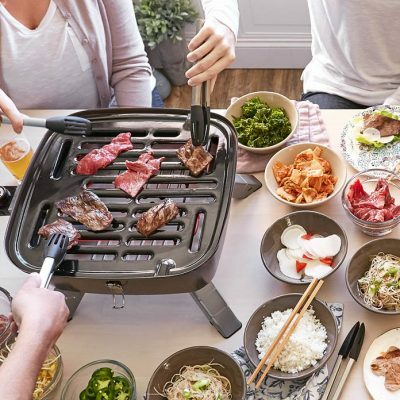 An electric Korean BBQ grill for your home lets you easily create the experience around your table. 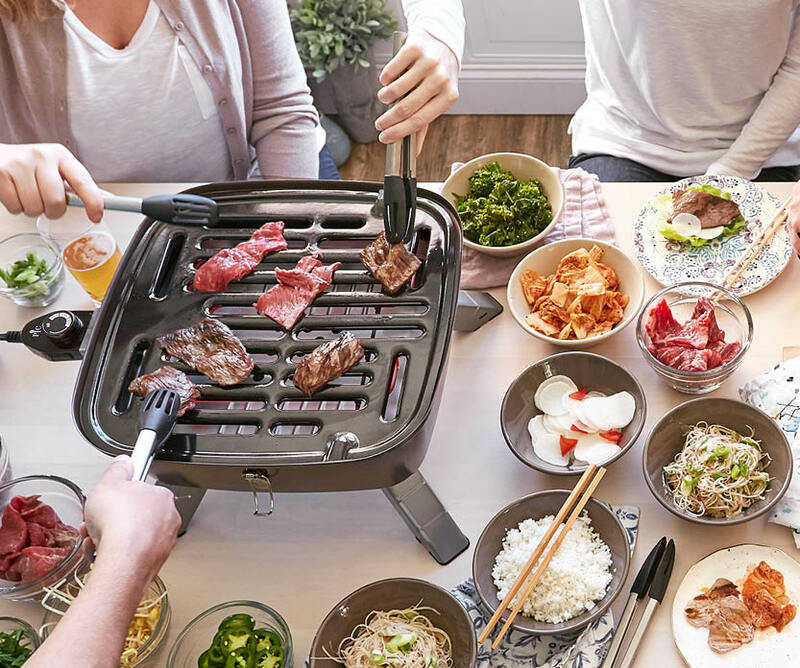 The grate on our Indoor Outdoor Portable Grill covers the electric coil, so it reduces the amount of smoke—it’s the perfect way to set up your own Korean barbecue! To make sure you have the best experience possible, make sure to keep the grate clean, use only thawed meat, and to grill in a well-ventilated area. The meat is the star of the show, since that’s what’s being barbecued. There are lots of options—beef, chicken, and pork—and they’re all delicious, but bulgogi is especially popular. It’s a marinated sirloin that’s cut into thin, bite-sized pieces with a pair of Professional Shears. We like to use a Korean Barbecue Rub on sirloin: it gives the meat a smoky, slightly spicy flavor that’s totally delicious. The good news is that the perfect cuts of meat—like skirt steak and sirloin—tend to be the least expensive, they’re full of flavor, and since they’re so thin, they grill quickly. You’ll never have to worry about whether the meat is rare, well done, or anything in between, because it’s always going to be tender and easy to eat. When you’re doing Korean barbecue at home, you can make or buy as much as you like—it all depends on your preferences. You can eat the banchan (side dishes) by themselves, mix them into rice, or use them as fillings in lettuce wraps—there’s no wrong way to do it! The key is to balance your side dishes—have some sweet, salty, sour, and savory options, as well as different textures. Kimchi is one side that no Korean barbecue can be without. It’s fermented cabbage (or other vegetables) with lots of spices and garlic that has a tangy, salty, and slightly sweet flavor. You don’t have to make your own—you can find it in the produce section of most grocery stores. Give it a try—we know you’ll like it! Another must-have is gochujang—a spicy chili sauce that’s a staple in Korean cooking. You use it just like hot sauce, and these days, it’s just as easy to find. We also like to make a few homemade side dishes like Quick Pickled Radishes, Korean Kale Salad, Korean Potato Salad, and Korean Scallion Pancakes. They’re all easy to make, and they taste great by themselves or as toppings. 8 Responses to What is Korean BBQ? I read it all sounds good I wish the wife liked this kind of food.I got a hole house fan I could do this in my living room. I was stationed in Korea when I was in the Army. Traditional Korean BBQs are a really fun time for you and your friends. As a consultant, I can’t wait for the first opportunity to use this product. Out of all of the new products this is the item I’m most hyped up to try at a cooking party 😉 Everyone can just try what like…after They cook it! Fun, fun, fun. Loved, loved the Korean Potato Salad! I plan on making that recipe a lot for my family. Something brand new and so delicious! Do you think that you could substitute 1/2 of the mayo for Greek yogurt? Yep! I do it all the time and it always tastes great. Sometimes I even substitute sour cream. To me, they are all interchangeable. This is still doable even if your spouse or a friend doesn’t want to try it. You can always put out some chicken, cut into bite size pieces, served with rice or other veggies. Still fun for everyone! This sounds great! I’ll be sure to try a Korean BBQ place soon!